In recent years, the city of Portland has been featured more and more in the foreign press. For French daily newspapers Le Monde and Le Figaro, Portland is THE place to go. The Guides du Routard (tour guides) warmly recommend it to their readers. But can the Parisians--who live in a city which dates back to the fourth century--really enjoy a city that was born in the nineteenth century? Below we will explore two not so different cosmopolitan cities. 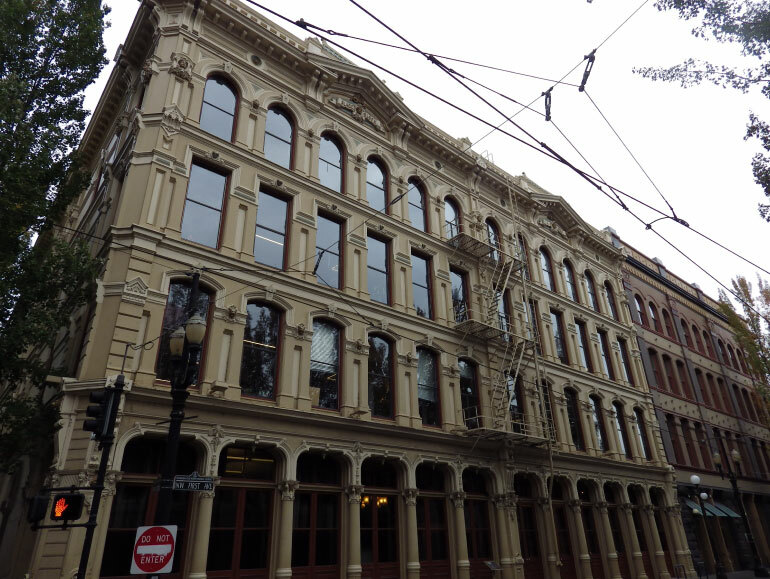 Registered as a National Historic Landmark in 1977, the Old Town Historic District is considered the original urban core of Portland. On a walk in the neighborhood, located between Downtown and the Pearl, it is interesting to take time and observe more closely the beautiful beige or red brick buildings. Some of them are among the oldest in the city and date back to the mid-19th or the early 20th century. Two movements are recognizable and blend to form a harmonious and unique style. The first one, the Victorian architecture, which appeared for the first time in England before crossing the Atlantic, is a revival of the neo-Gothic architecture with examples including fine details and broken arches. The second one, the Italianate architecture, also first appeared in England. It is easily recognizable thanks to its flat roofs and vaults arches that contrast with those of the Victorian architecture. If we continue our ride further south, we arrive in the Downtown area, the beating heart of Portland. Here too, you will mostly find red brick or beige buildings; and those include some of the oldest tall buildings built there. The Wells Fargo Center was, for example, the first skyscraper to be inaugurated in the district. The downtown area also includes large avenues packed with pedestrians. The atmospheres of these two districts are reminiscent of the 2nd district of Paris, especially near the Opera Garnier and--more particularly--in the Grands Boulevards. As its name suggests, the Grands Boulevards are long and wide avenues, although not as long and wide as the Champs Elysées. The Grands Boulevards, which were built for the first time between 1668 and 1705, were later cleared to be rebuilt with what we know these days as Haussmann architecture. Unlike Downtown Portland, there are no skyscrapers here, but some splendid long buildings with only 5 floors. 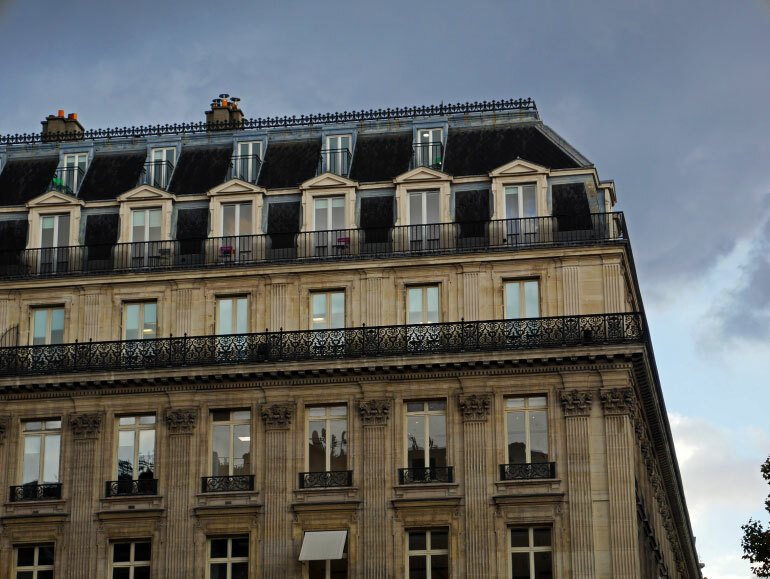 The Haussmann style is recognizable by its beige buildings, its uniform facades and balconies overhanging throughout the buildings. The American and French neighborhoods may have not been built at the same time and have different architectural styles, but in these two cities we can always enjoy the magnificence of historical buildings and a lively atmosphere. fresh air away from the busy life of downtown. Two types of architecture coexist here with one thing in common: they are almost all wooden houses. 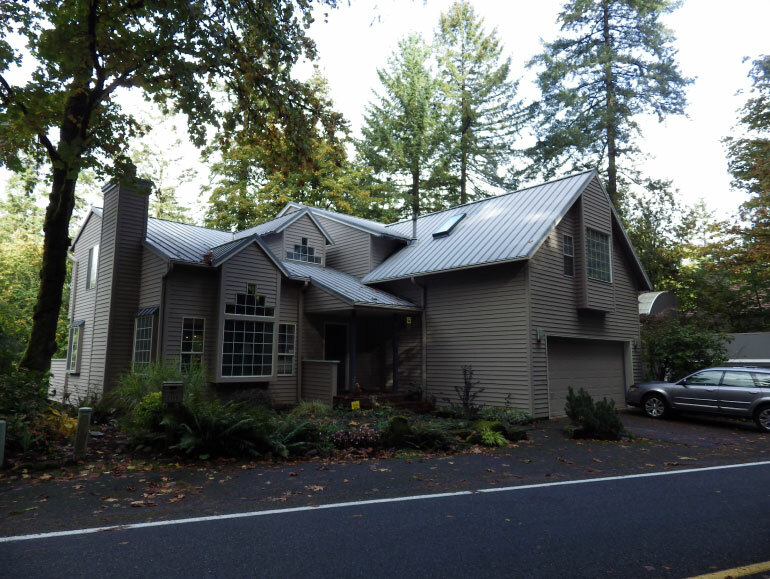 The homes in the OHSU area could have been built between the 198Os-90s or in the 21st century; the typical material from the Pacific North West region is ubiquitous. 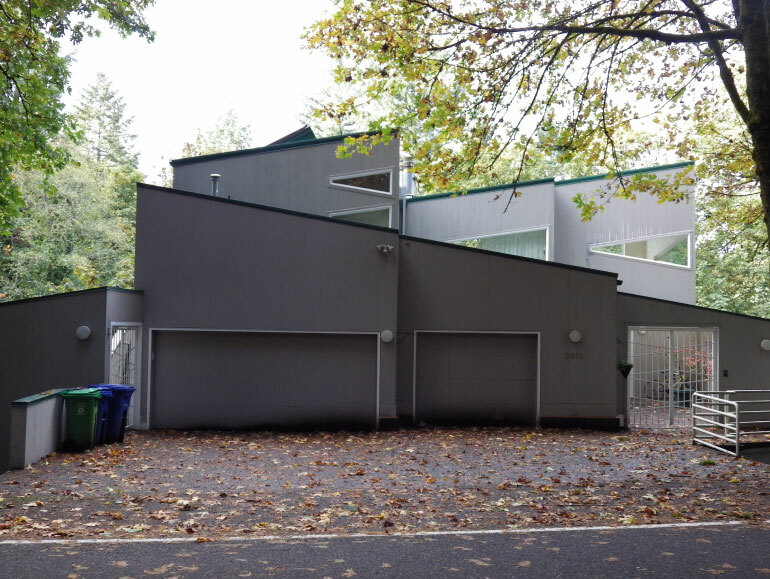 Furthermore, it is not uncommon to discover design houses, easily recognizable thanks to their modern and geometric architecture. Let’s fly to Montmartre now, the artists’ neighborhood of Paris. 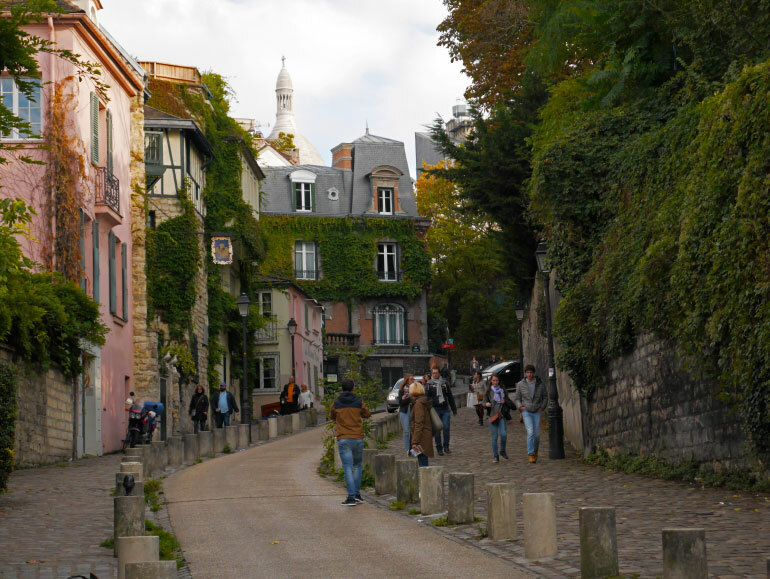 Also located on a hill, Montmartre is full of tiny streets where houses from the 19th century are built on both sides. These houses are more or less narrow, and just one floor high. Small squares, where neighbors and artists meet for farmer’s markets or flea market days, can be seen at the end of the paved streets. 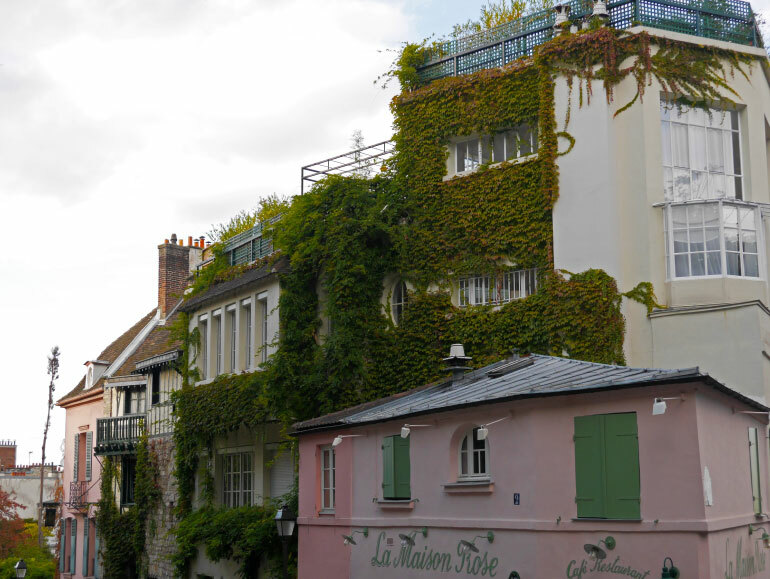 Homes are largely the same colour in Montmartre; that said, it is not unusual to see a blue, yellow or pink house. 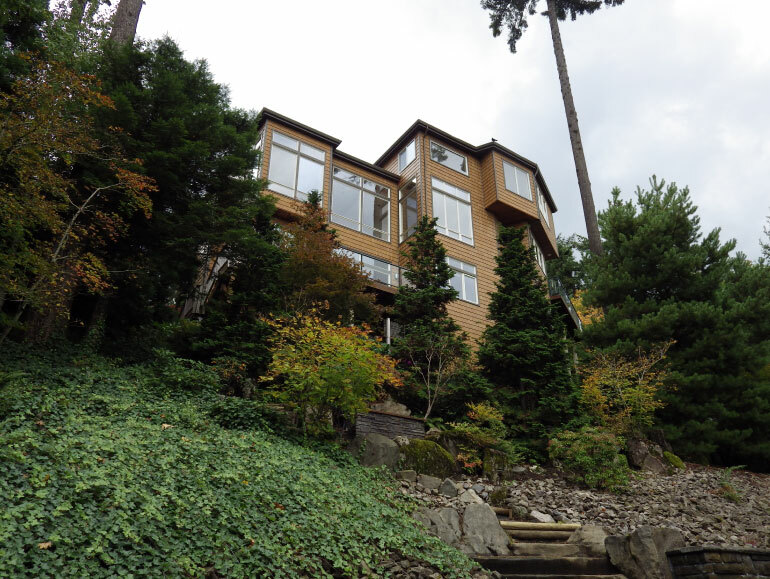 Finally, in addition to being the green lungs of two large cities and located on hills, some residents of the neighborhoods of Montmartre and OHSU have a breathtaking view of the rest of Portland or Paris, respectively. 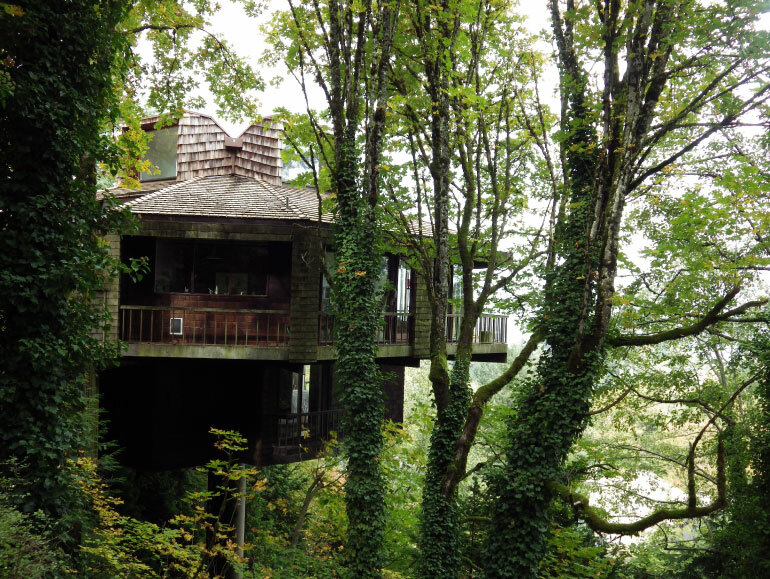 Whether American or French, the houseboat or barge residents have something in common: their passion for the two rivers that flow through Portland and Paris. White, blue, brown or beige... the floating houses on the Willamette are all unique. They are, however, all made of wood and have at least one floor. 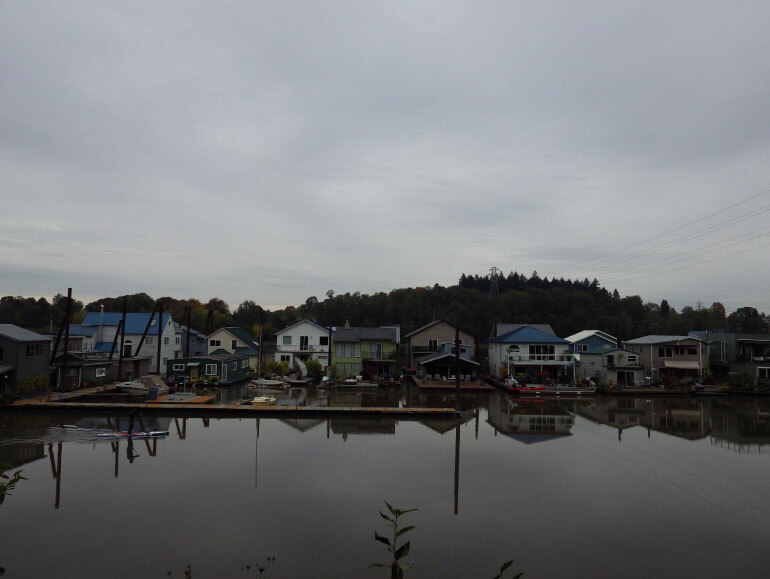 House boats on the Willamette also face the river and most of them have a terrace along the surface of the water. Here, there are no cars, but boats or paddle boards to navigate the Willamette. Blue, red, black or green, the barges of Paris are also all different. But unlike the floating homes in Portland, the barges on the Seine are navigable ships. 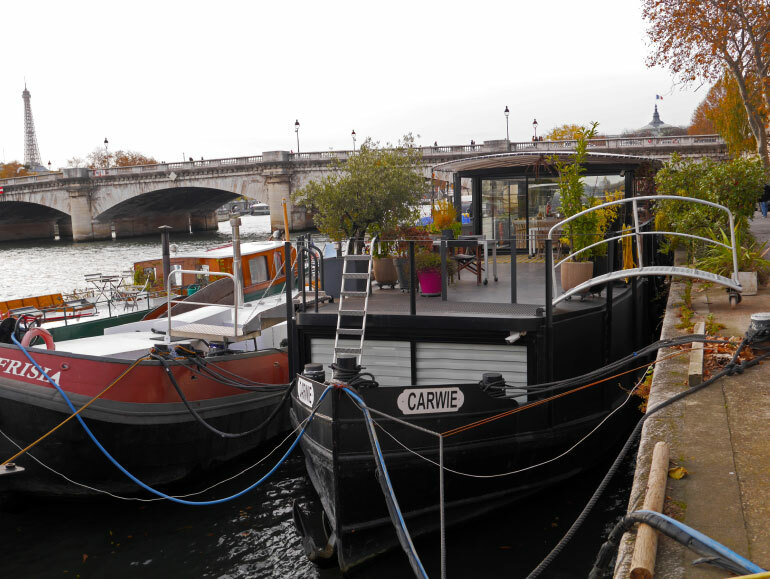 In addition, these houseboats are nomadic, they sail along the Seine and dock whenever they want. Despite giving the impression of being comfortable, the barges are still boats; they are often small inside. 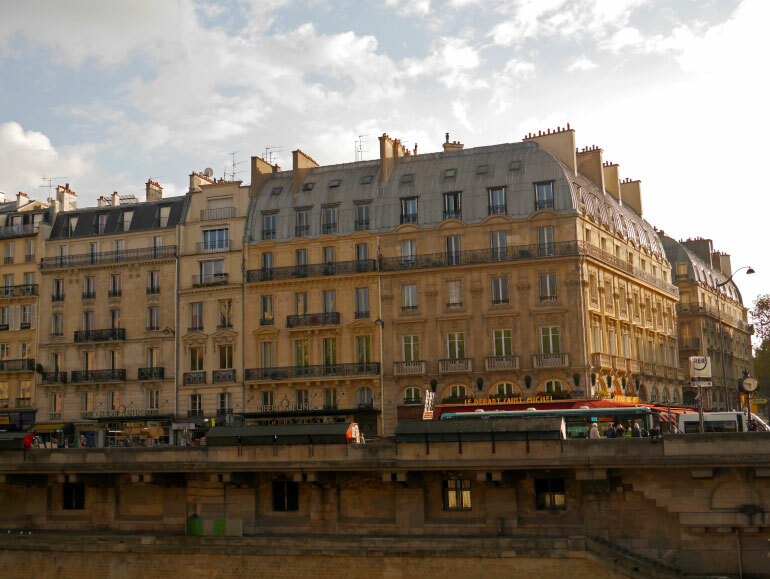 Finally, like the floating houses, the barges have-- as with the houseboats in Portland, a terrace where the view over the Seine and the buildings that surround it is magnificent. It is not unusual to see bikes on the bridge of boats, this mean of transport is favored by the barges residents when they are not navigating. Portlander and Parisians will not feel so out of place when they swap properties during vacation time. They retain their natural habitat: a river full of secrets. 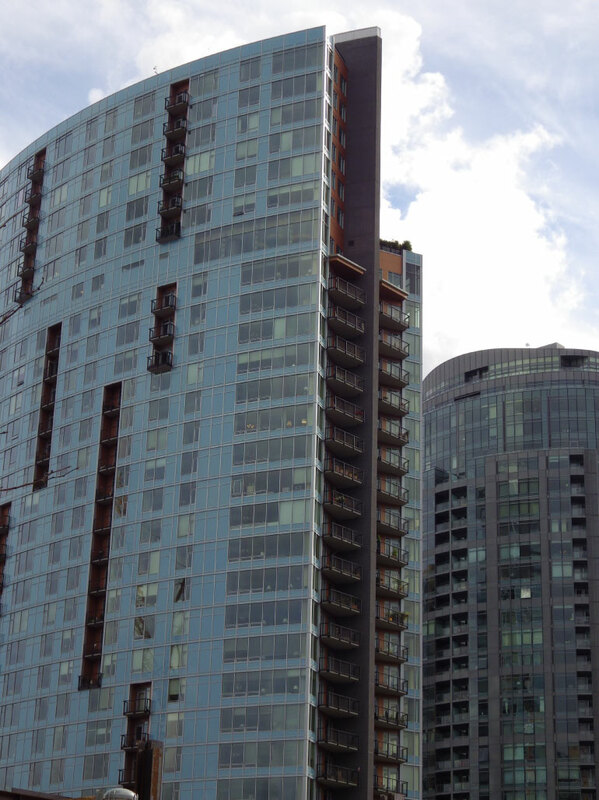 The South Waterfront district is one of the newest of Portland. Huge skyscrapers rise along the Willamette and dominate the landscape. The tranquil waters of the river are reflected on the façade of the all-glass buildings. Small landscaped gardens contrast with the modern urban architecture. Shrubs and flowers scattered here and there create a natural and rural environment. It feels good to walk in the afternoon along the river, to sit quietly for a while on one of the wooden benches and admire the last rays of sun before it is completely gone. This atmosphere can also be found along the Seine in Paris. Although there are not tall glass buildings here - there are long, Haussmann-style buildings instead - the atmosphere is still unique. To walk near the water on a road paved centuries ago is magical. Although home to different culture and architecture, the City of Roses and the City of Light are more alike than you might think. Portland and Paris are, importantly, two cities that you can never tire of and will bring joy to everyone who explore them for many years to come. Born in Bordeaux, France, Audrey currently lives in Paris and studies journalism at the ESJ Paris (university). A world traveler and curious for new discoveries, she fell in love with the state of Oregon, and more particulary the city of Portland, 5 years ago. She is, therefore, delighted to write about the architecture of two cities that are very dear to her heart.